I love peanut butter. It’s one of my greatest weaknesses, I can’t resist it. I have to admit that I usually have a jar of Jif in my cupboard since it’s the only peanut butter my son will eat. I know that it’s a terrible choice but it takes me back to my childhood. Don’t get me wrong I love all natural peanut butters as well but I don’t find myself eating it by the spoonful when I am looking for a sweet snack. That’s why I decided to try to make my own version of a sweetened nut butter. I think it’s pretty obvious that I love hazelnuts, they are my go to nut when cooking. Every time I’ve seen hazelnut butter in the market it is incredibly expensive so I wanted to see if I could make my own. I found a recipe from Oh She Glows and I used that as a starting off point. 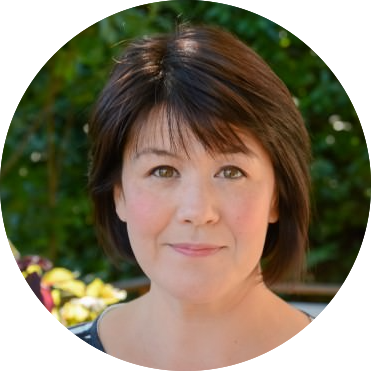 Angela’s recipes are innovative and tasty and I really love her photography. The pumpkin and spices give it a nice earthy flavor and the maple syrup gives it just the right amount of sweetness. I wanted to roast the hazelnuts to give the nut butter a deeper flavor. 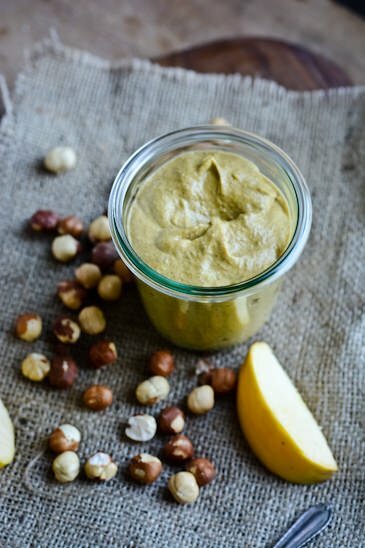 The nut butter is delicious with fresh apples or pears and would be great in a smoothie with some apples and hazelnut milk. Pre-heat the oven to 350 degrees. 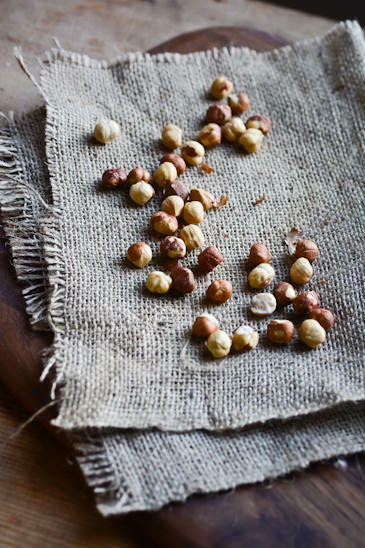 Spread the hazelnuts on a parchment lined baking sheet and roast for 5-10 minutes until fragrant and the skins begin to crack. While they are still hot wrap the nuts in a clean kitchen towel and rub them vigorously to remove the skins. Don’t worry if they don’t all come off it won’t affect the taste of the hazelnut butter. 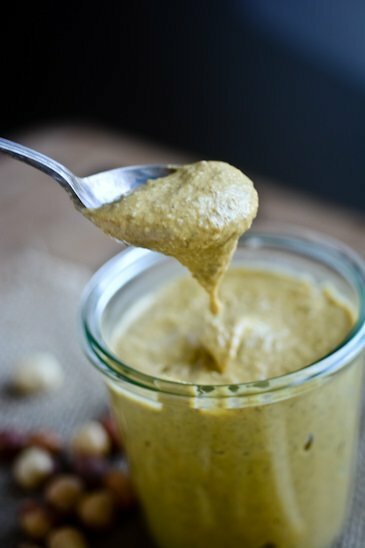 Add the hazelnuts and the rest of the ingredients into a high speed blender and blend until creamy and smooth. You can store the hazelnut butter in the refrigerator for 7-10 days. 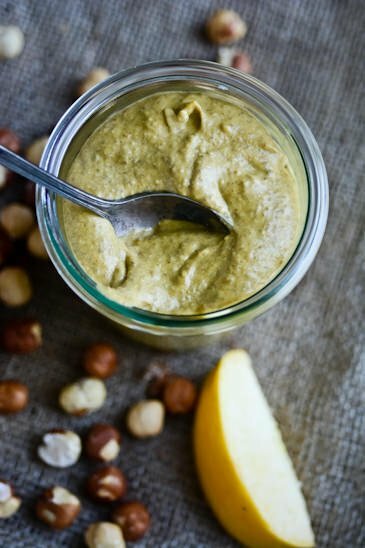 This looks amazing…I never used to eat nut butter except in the last 12 months! Now I have 3-4 flavors at a time. I made a homemade nutella once but I want to try more recipes!